Hand #90: Brandon Eisen called out of the small blind and Ted Driscoll checked his option from the big blind. The flop came and both players checked. On the turn, Eisen check-called a 180,000 bet from Driscoll. Both would check the turn and Eisen would take down the pot with . Hand #91: Shai Zurr won the blinds and antes with a raise to 240,000. 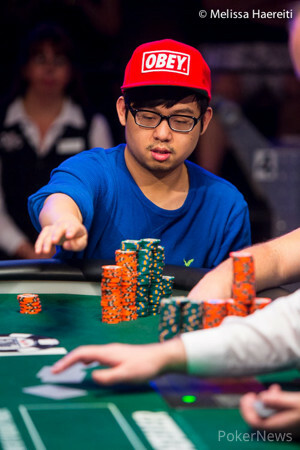 Hand #92: Jack Duong won the blinds and antes with an all in shove. 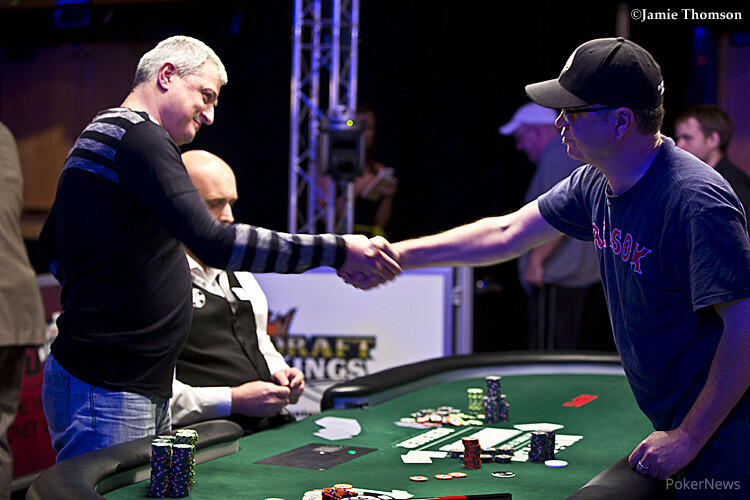 Hand #93: Eric Baldwin opened to 240,000 and was called by Dubinskyy from the button. The flop came and Eric led out for 240,000 and Dubinskyy raised it to 525,000. Baldwin called. The turn was the and both players checked. They would both check on the river and Dubinskyy would take the pot with which was one notch better than Baldwin's . Hand #94: Dubinskyy opened for 250,000 and Duong moved all in for 1,250,000. Dubinskyy called. Duong held and was racing against Dubinskyy's . The flop came , keeping Dubinskyy in the lead. He would hit a set on the turn and only a five would keep Duong alive. The river was the and Duong was eliminated in sixth place and Dubinskyy moved up to 6,000,000 in chips.